Joie joined the staff of New Beginnings Medical in 2015 after relocating from Illinois. She brings with her extensive experience and passion in weight loss and fitness. 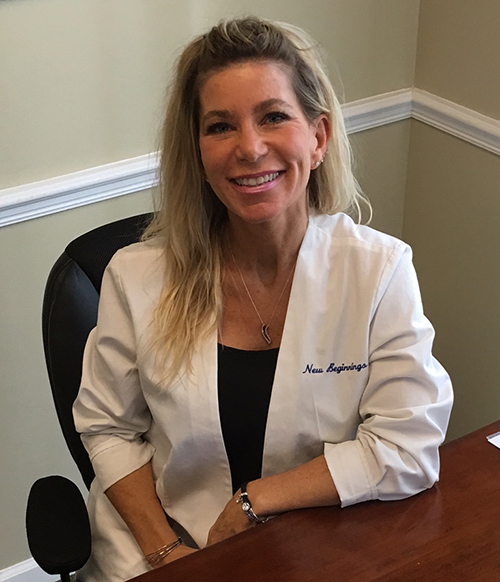 With professional and friendly guidance, Joie strives to give undivided attention and encouragement with each patient. Allowing each patient to choose his or her goals and being there step by step as they reach them is an exhilarating experience and very rewarding for her. As well as being a program and patient coordinator, Joie holds an Associates in Health Science and is a Certified Personal Fitness Trainer. She lives in Port St. Lucie with her husband, Neal, and Danielle, the youngest of the four children who is entering college studying Law. Loving the tropical climate, outdoor activities such as paddle boarding, running, and enjoying the beach are some of her favorite pass times.